This week between 70 pages of train specs to translate, 2 blogs (when I do something I usually get carried away! ), knitting, etc.. yesterday I did not go to the grocery store, so this morning I really had to rack my brain to come up with something for "pranzo"! Of course the stereotype of the Italian-american always brings spaghetti and meatballs to mind for Sunday dinner... this may be the case in the many Italian-american households, but it is not the case in Italy! Each region has several provinces and each province has many "comuni" or cities and so while there are broad schemes as to who eats what for Sunday dinner, in truth there are a myriad of dishes and variations of dishes! In the south the tomato - although not native to Italy but brought here by Columbus from America - reigns supreme. And so, on any given Sunday if you walk through the streets of Lecce or Bari or Naples or Palermo, you will probably get a whiff of some kind of tomato sauce being prepared for the Sunday "pranzo". We lived in the Marche region for many years, and the Sunday staple was "cappelletti in brodo". Little meat filled hat shaped pasta in a delicious meat broth made with 3 or 4 types of meat. 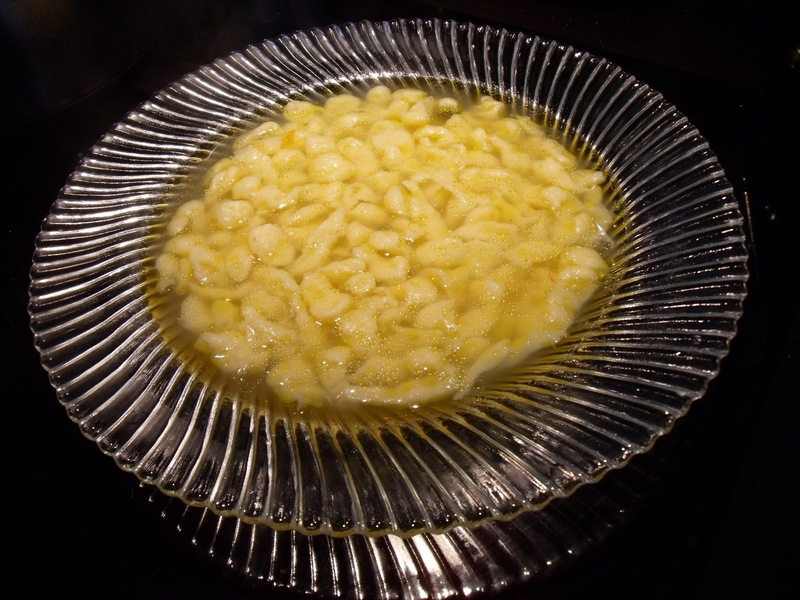 Sometimes the cappelletti are replaced by "passatelli" - little dumplings made with bread crumbs, eggs and parmesan cheese in their "poorer" version or enriched with minced meat in a richer version. 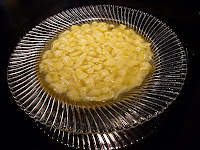 The tradition of a clear soup with some kind of pasta in it extends through the Marche and Emilia Romagna where cappelletti, tortellini or passatelli are served in broth on special occasions and.. on Sundays. And so it goes with each region. Recently we have been vacationing in Trentino-Altoadige, the region of Italy that borders on Austria. 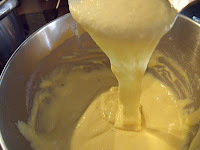 One of the recipes I have picked up from this beautiful region is for "spätzle". If you are familiar with Pennsylvania Dutch cooking or with German cooking I am sure you know what spätzle are: those tiny, tender dumplings made with flour, eggs and milk. In Trentino they add spinach to the mix and serve them with gorgonzola cheese or with butter and speck. 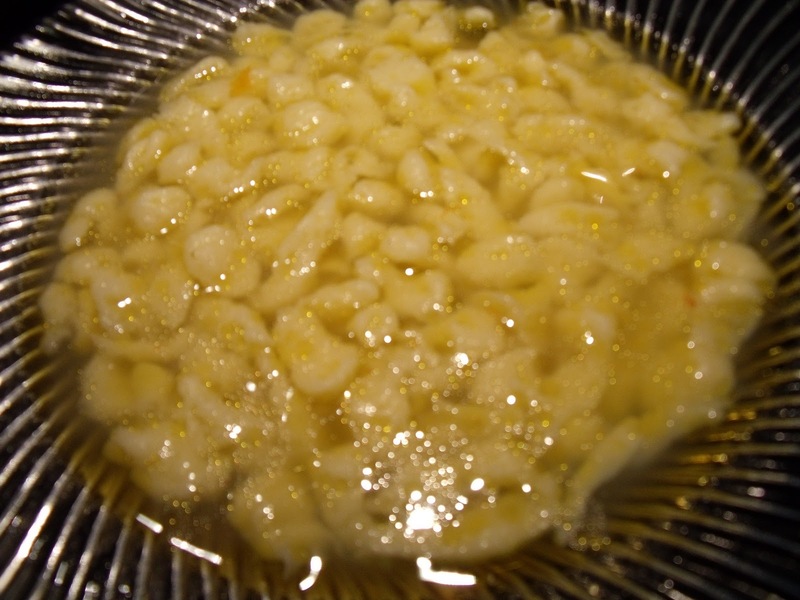 They serve the white spätzle with butter and cheese as a side dish with meat. And they can also be enjoyed with a fresh tomato sauce and grated cheese. 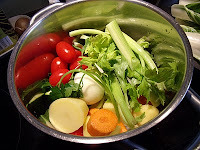 Well, today I am going to make them in "brodo finto" or fake broth. Fake because there is no meat in the broth, just vegetables. 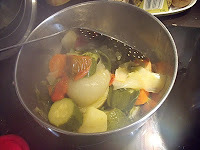 My family is not big on chicken broth or meat broth in general, so I usually make plain vegetable broth. 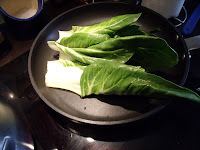 I am cooking it traditionally, for about an hour or so, but if you are really in a hurry you can do it in about 15 or 20 minutes in a pressure cooker! 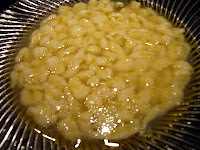 So, without further ado here is how I make brodo finto con spätzle. For the broth you will need a 4 quart pot. 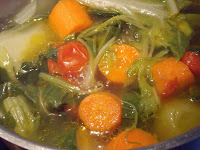 Any mix of vegetables will do, as long as it includes onion, garlic, carrot and celery. In addition to these I used 1 zucchini, a large peeled potato (I peeled it because I will puree the vegetables to serve as a rich soup tomorrow), swiss chard, a few small tomatoes and a few stalks of parsley. 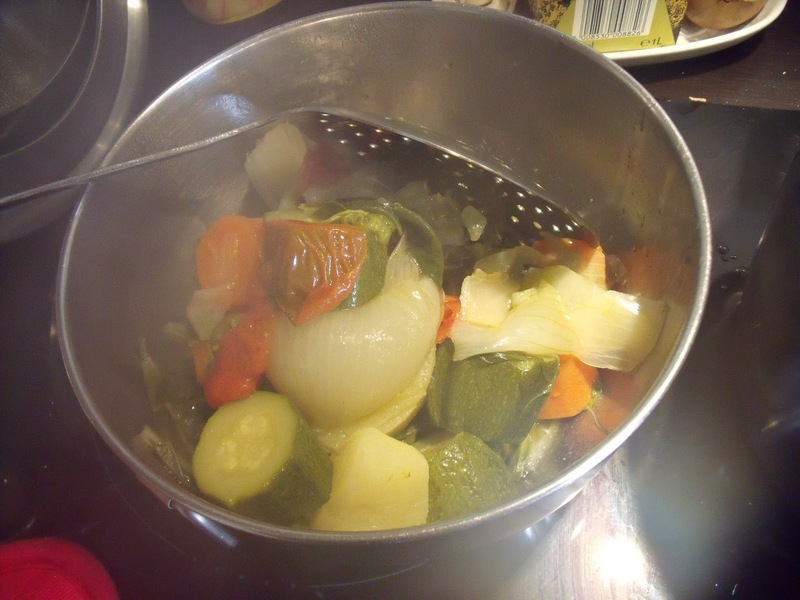 Cut the vegetables up in large pieces and put them in the 4 qt. pot. Cover with water (about 1 1/2 quarts of water), add about a teaspoon of coarse kosher type salt (regular table salt will do), and a couple of tablespoons of extra virgin olive oil. Cover and bring to a boil. 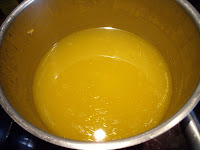 When it comes to a boil, lower the heat and simmer for about an hour. If you are using the pressure cooker method, follow the manufacturer instructions for filling your pressure cooker and cooking the vegetables for making stock vegetable stock. If you are using the traditional method, after about an hour this is what your soup should look like. At this point, remove the vegetables with a slotted spoon or a skimmer. Taste your broth, season to taste with salt and pepper. Set aside. 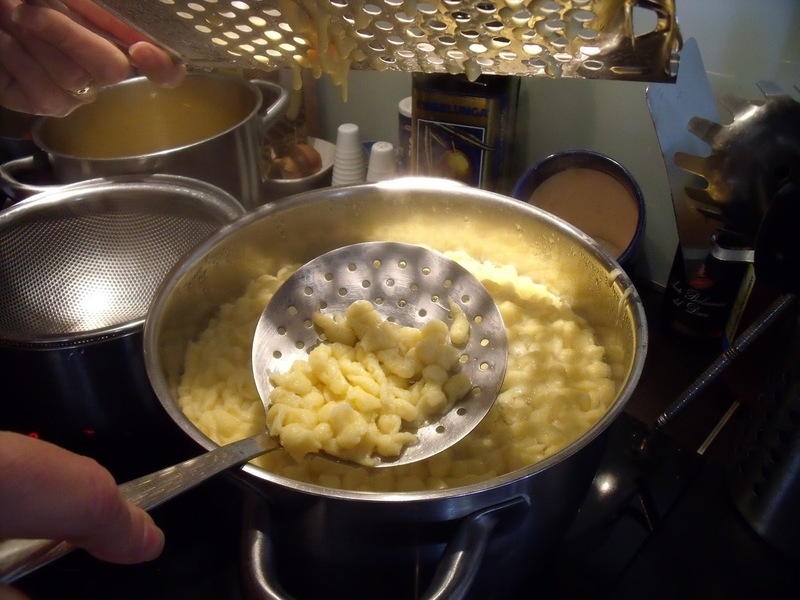 About 20 minutes before you want to serve your soup, start making the spätzle. 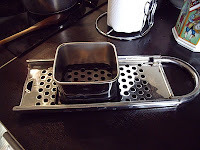 You will need a "spatzlehobel" - or a spätzle maker and an 8 quart pot. Fill the pot 2/3 with water and put it on to boil. 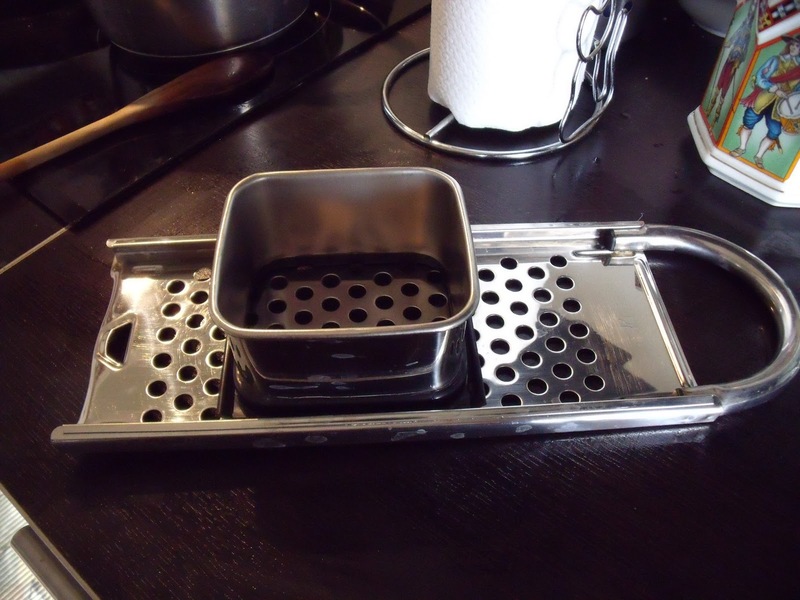 If you don't have one of these, you can use a colander with large holes or a potato ricer (messy). 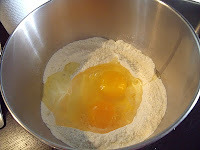 Measure the flour into the bowl. 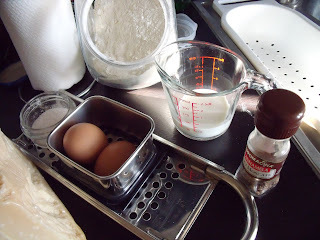 Add the salt, pepper and nutmeg. Break the eggs into the bowl and start to whisk the ingredients together. Before the ingredients are well-blended, add the milk and continue to whisk until the batter is smooth and falls in a "sheet" from a tablespoon. As the spätzle cook, the will float to the top. 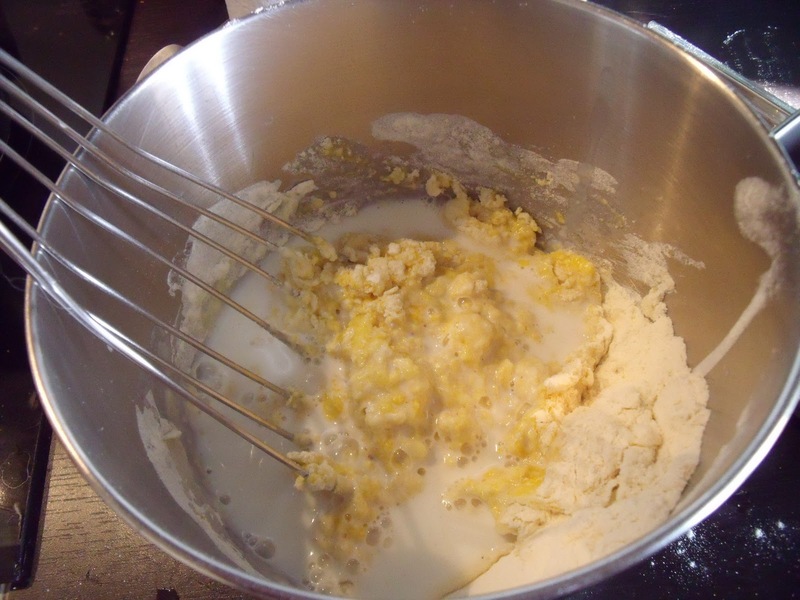 When you have used up all of the batter. Stir the spätzle several times. Remove from heat. Use a slotted spoon or skimmer to remove the little dumplings from the water to a colander. 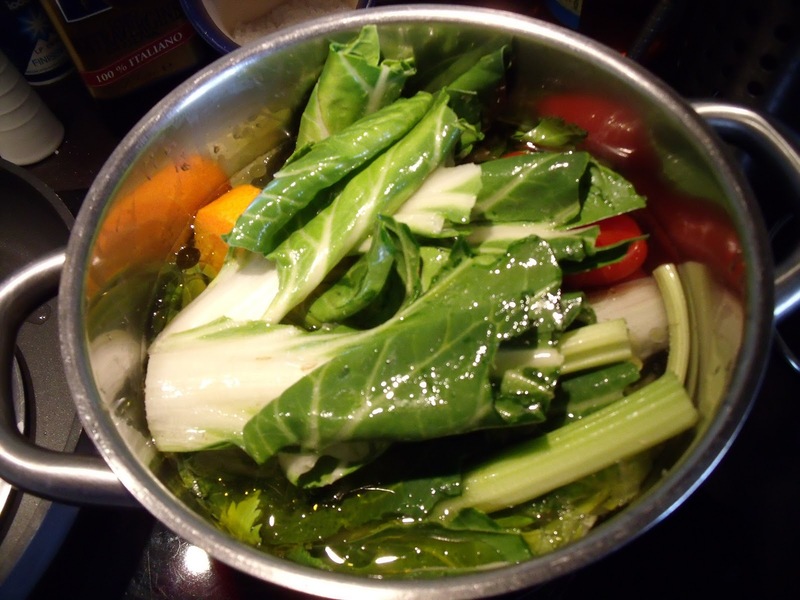 Allow them to drain well before transferring them to the broth. and as Julia would have said, had she spoken Italian..
Love it love it love it! Thanks for sharing all of these wonderful dishes, Aunt Donna! Bravissima, hai descritto la ricetta con tante foto, video, particolari... complimenti!